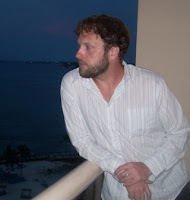 I’d like to welcome fantasy author J. Curtis Mace to Colloquy by Diantha. Thank you for taking the time to come dish it up with me! I was inspired to be a writer by a best friend of mine, Ranny Randall. He was the writer, back when I was a musician, but he inspired me to begin writing. He sparked my passion for telling stories and creating characters. I’ve always known I had something to say with my art/writing (actually knowing what that is I have to say… well, that’s still a work in progress). Ranny showed me how you can use a story to say something in a deeper way. I’d always had a passion for creating things and making art. Ranny showed me how I could do that same thing with writing. I have been writing all my life. But I started out writing poetry and songs and simple prose. The thought of writing a “full length” novel was very daunting, and I didn’t attempt my first one until I was about 25. I threw myself into the details and ended up writing a very long, very detailed and very boring story. That first novel has never seen the light of day, though I do have dreams of doing something with it. Rewrite it, maybe. Tell us a little about your fantasy novel, A Prince from the Shadows. How did you come up with the name for your series, Heroes and Flame, Blood and Myst? This book, A Prince from the Shadows, is about Jeodyn’s start into the world as a mystic. While away on his seeking (his final test before acceptance into the Brothers of Sodal), Jeodyn’s sister Jynn is seduced by s dark lover named LuMaeryn, who turns out to be the ShadowLord of a race known as Shadorym. When Noirlok, as he’s later called, finally convinces Jynn to leave with him, Jeodyn finds he is the only one who can/will go after her. Their father, the king, has ordered no one to go after Jynn, because he knows she would only despise him more for forcing her back and he’s convinced she’d only leave anyway. So Jeodyn goes alone. And through the aid of a very few, but very close friends, he sets out to save his sister from herself and from the darkness that has taken her. As for the name Heroes and Flame, Blood and Myst… It was one of those ones that’s so simple, it just worked. Back when I first started to write the story, I gave everything generic names (Jeodyn was “HeroKing,” Jynn was “sister,” Noirlok was “ShadowLord”). And when I name the series (generically) I just named it what it was about: Heroes, of course. Flame is for the Fyres of Creation. Blood is for Vallyn’s blood Jeodyn is born from, and Myst is the name of my magic, which plays a key role in the story. I just earmarked this new project as the “Heroes and Flame, Blood and Myst Story.” It was too perfect to change, so it stuck. Sum the main character Jeodyn up in three words. Do you and Jeodyn share any of these traits? Summing Jeodyn up in three words (and answering the other part of the question)…JEODYN IS ME. Three words. Since that doesn’t tell you much, I’ll give you three more about his character: YOUNG, PASSIONATE, and STRONG-WILLED. To tell a bit more, this story was based on me and my friends and our endless struggle to defeat The Man and retain the fire that burns in us (because you know The Man is always trying to steal that fire inside. He wants to rob us of that strength and extinguish our fire, so we’ll all just fall in line and do his bidding). Jeodyn was based on me (learning to write, this was easiest). Leye is based on my best friend who passed away in 2006, and Raab is based on my friend Roland. The best part about writing Fantasy is the possibilities. You can do anything, go anywhere. You can make up anything you want. You can take the social structure of our world and turn it on its head in a fantasy world. You can bend the rules. You can have magic. You can do anything. Now, the flip side to that (which I also like) is the challenge to make it all real, to suspend disbelief in the reader and not have them question what you’ve created. In my story, Noirlok is someone/something that could never exist in our world. So, I need you to believe that this creature is a real thing, real by our living standards. That comes in the writing. I have to give a character like that real emotions and real interactions and real reactions. I need you to believe he is as real as you or I, even if he is a dark force who overcame mortal death and his eternal sentence to have his revenge. That’s a challenge with any writing, but it’s especially interesting when writing fantasy. I like that a lot. Right now, my writing schedule is: not what I would like it to be. I write whenever and wherever I can. I work a M-F/9-5, and I try to write there when I can. But my best/favorite time to write is in the middle of the night. When everyone else has gone to bed, and I tell my wife I’ll be to bed in a minute, “I just want to finish this last thing.” Then the next thing I know it’s 4am and, I’ve written 10-15pgs. Sometimes when that happens, I wake up the next morning and can’t remember what I wrote. I always make it a point to reread most of what I wrote in a previous sitting, to clean it up a bit and to get ready for the following scene. Some of those late night sessions have surprised me. That’s always fun. Do you need absolute quiet to write? Or does a little music help your writing process? I feel like I do my best writing in silence. I can hear my characters better. But it really depends on my mood. Sometimes I need music, just because I do. Sometimes music helps when I’m trying to get started on a new scene and don’t know where to begin. But I love music so much, that sometimes I focus more on the music than my writing. So, silence mainly, but it depends. My three favorite authors are: Hemmingway. Cormac McCarthy, and Tolkien. As for books… I have a lot of favorites. Books are great! First, three of my fantasy fiction favorites: The Lord of the Rings trilogy, of course, and The Hobbit. The Wheel of Time series by Robert Jordan was really good. Eye of the World and Lord of Chaos might be my favorites of them all. For someone to tell me they’ve read one of my books more than once. I mentioned reading Old Man and the Sea like 20times (not embellishing at all), and when I first read The Road, I actually read the last page then turned back to the first page and started again. I think I’ve read it like 4more times since that. That is the best compliment. I know why I reread those book (and others), because I was so moved by the story and the beauty of the words and the characters; I had to read it again. I can’t think of anything better to hear about one of my own books. Last, but not least, my Super Silly Question: Have you ever eaten an extra large bag of potato chips in one sitting? Well, there was another interview I did for a recent blog tour (thx, Austine), and they asked what animal I am of best identify with. After fighting the urge to say, “Lion! I’m a lion, yeah that’s it. A lion!” I really thought about it and decided, if I were an animal, it would most likely be a grizzly bear. I’m a big guy; big and I’m for lack of a better word, burley. Bearded and burley, at that. I say all this to answer your question… Absolutely! I’ve housed a bag of chips in one sitting a number of times. I say that, not as a point of pride, but as a simple declaration of the truth. I'm nowhere near being big or burley and I've eaten a bag of chips in one sitting. The shame is almost too much to bare. Thanks for stopping by, J. Curtis! Review of A Prince from the Shadows coming soon.